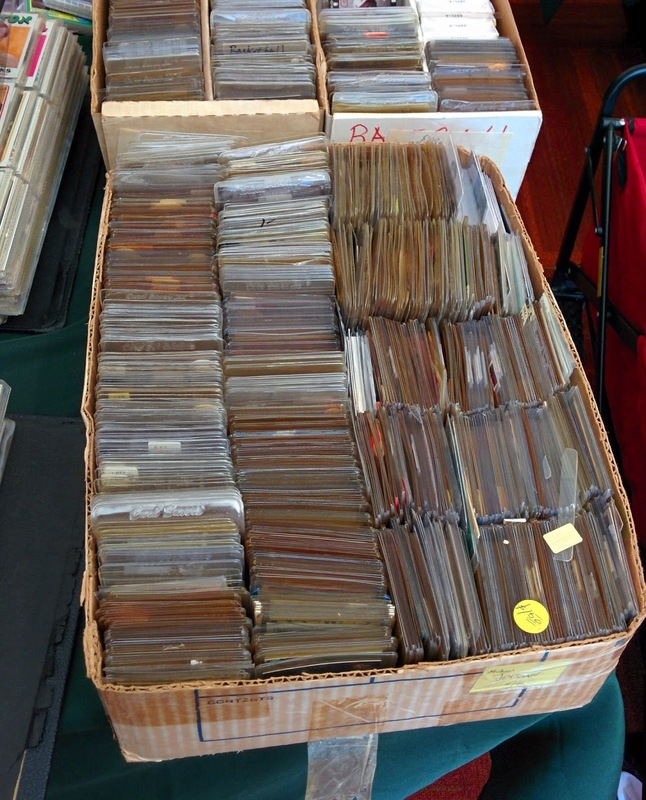 If you heart doesn't skip a beat when you come upon a box like this at a card show, you might be legally dead. The tops are discolored by the sun but who knows that is waiting just underneath? Is it overprotected junk wax or treasures from the age of high-numbered short-prints? Here's a truly amazing piece with no price listed. 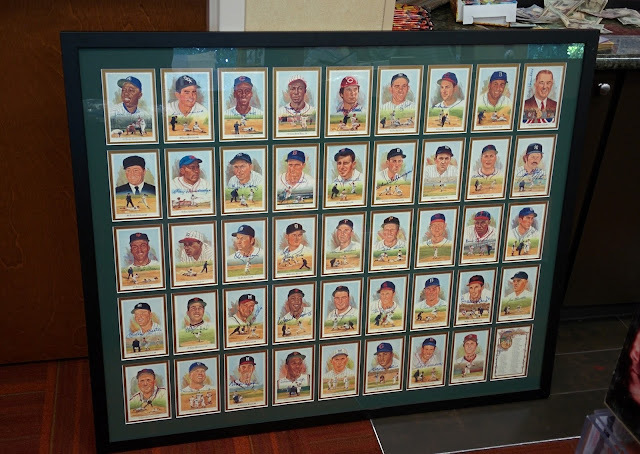 If you expand the photo and really take a look, there are only just a few of these portrait cards that aren't signed. Along side the box of WWE cards 6/$1.00 there was this sad box of wrestling dog tags of tweeners that will never be purchased. 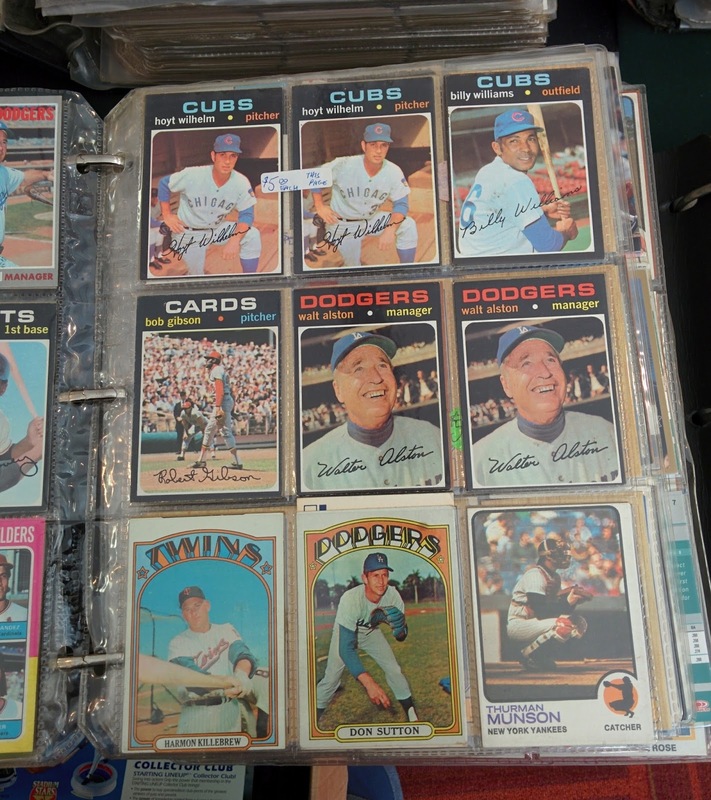 Here are a couple nice pages from a binder on one of the seller's tables. 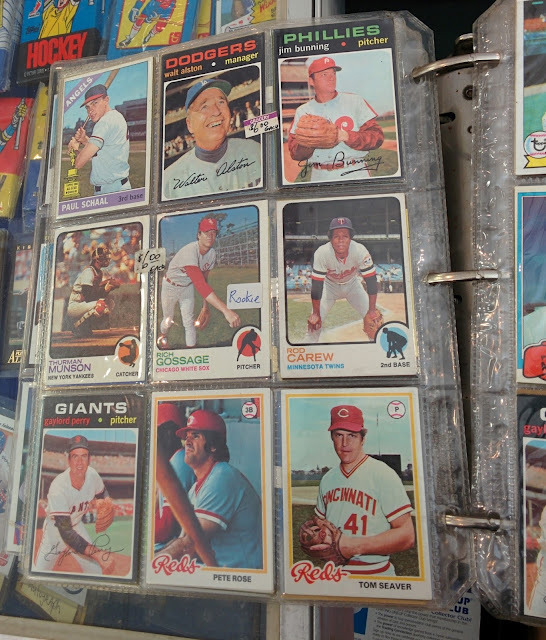 The first page has a nice Goose Gossage rookie and the next page has one of my favorite Bob Gibson cards from 1971 Topps. The pricing for all these pages was clearly very old and probably from about three owners of the binder ago. If you took out all the singles and put them in top loaders the seller would do so much better as I wouldn't even bother with trying to figure out what these cards were actually for sale for. Oh, what once was. 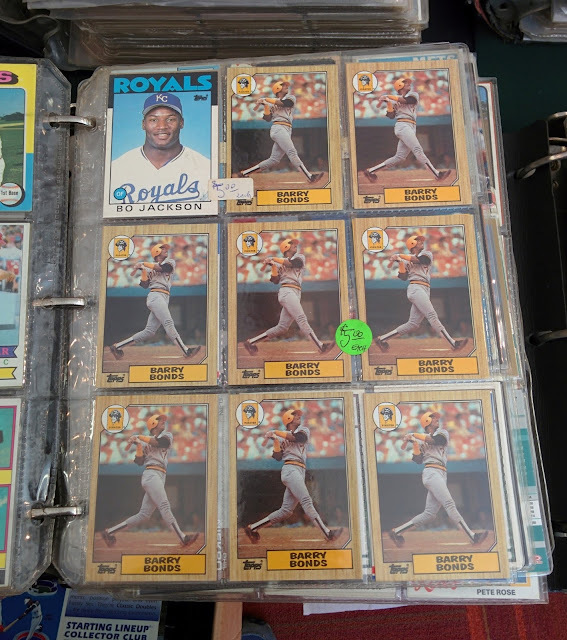 $5.00 for 1987 Topps Barry Bongs, only if it's a Gem Mint 10. Should have sold all these early Josh Hamilton cards back in 2010. 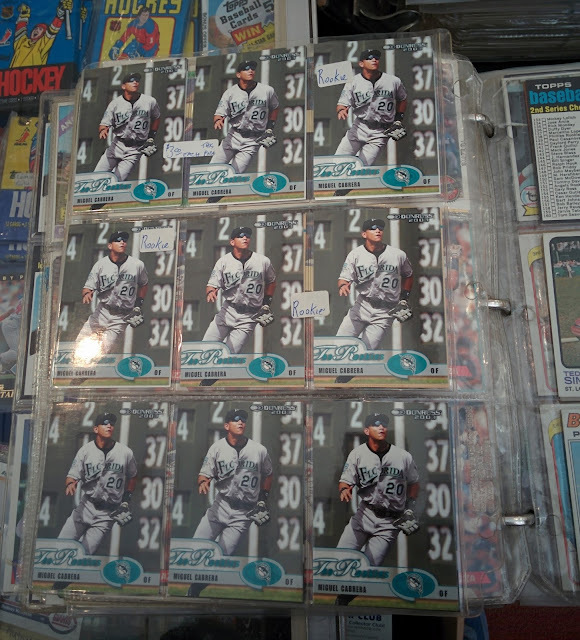 Here's a nice page of Miguel Cabrera cards which are from 2003 Donruss The Rookies. This really isn't a rookie as he had cards back as far as 2000 Topps Traded. 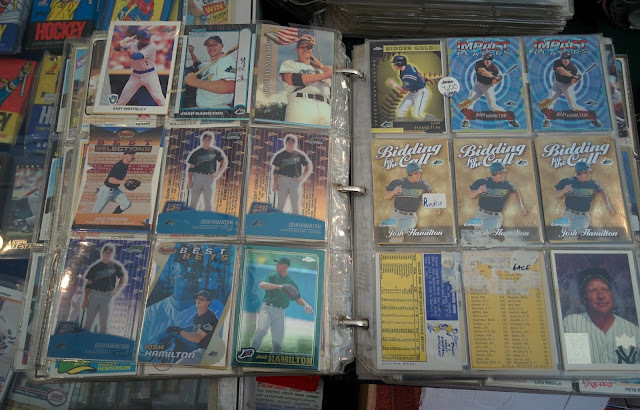 I don't think I've ever seen so many Matt Williams rookies in one place. The real treasure of the show was tucked into the back corner of the room. 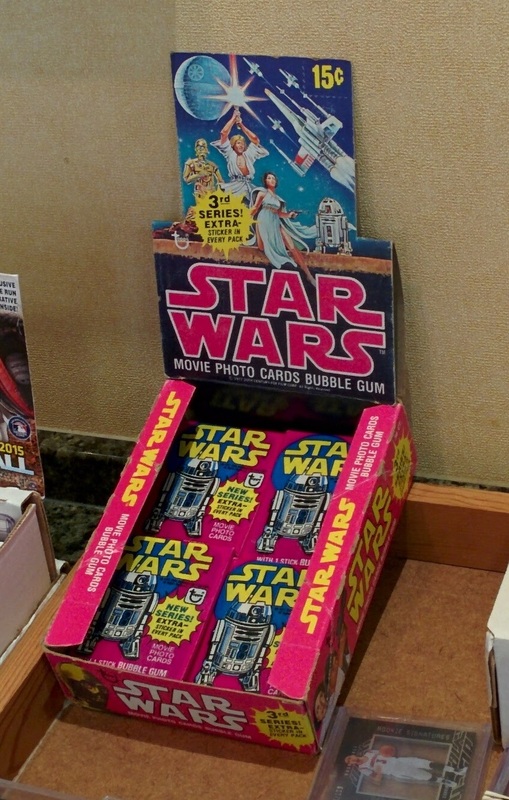 You could have easily this Topps Star Wars 3rd Series box featuring unopened packs for $8.00. 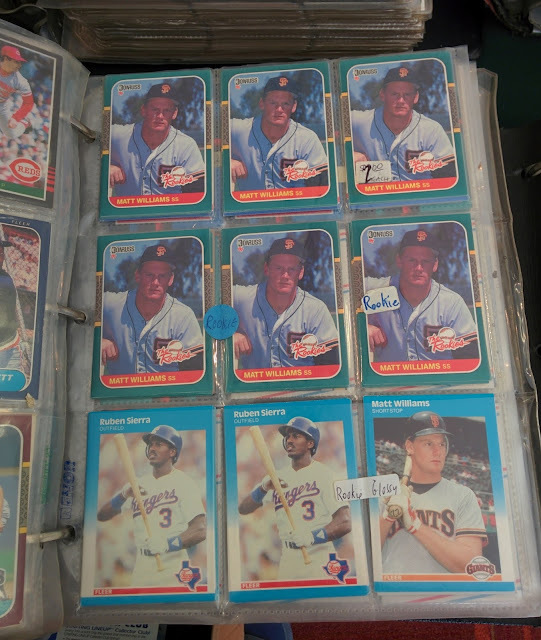 I went back and forth on buying one and I decided to focus on the quarter and dime boxes but I know @CardJunk definitely bought a pack and so hopefully he will show his cards shortly. Wow!! That Perez-Steele display is amazing! heck, it would be cool even without all those sigs. I WOULD HAVE BOUGHT EVERY SINGLE PACK FOR $8!!!!!! !